Our mission at Church on the Move is simple: we exist to introduce people to the real Jesus. But who is the real Jesus? What if Jesus is bigger than I think He is? What if He’s more loving? More gracious? What if there’s a joy and a peace available to me that I’ve not yet experienced? What if there’s more? Real Jesus is a 10-week curriculum that tackles those questions and ends with a weekend experience. In each week of the semester, the content is arranged into three main sections listed below. For full instructions on how to use the book, click here. Pre-Group is similar to a daily devotional with a couple of scriptures and questions to consider for five days. Here you will watch a 10-12 minute video teaching from Pastor Whit George, and engage in group discussion. However, we recognize that many people want to go a bit deeper. For that reason, we have provided Pre-Group content and Next Steps for each week. After your group meets, you have the opportunity to take a next step by practically applying what you just learned. Of these sections, the essential content is found in Group Time. Real Jesus groups take place every year in both the fall and spring small group semester. For more information, or to become a Real Jesus small group leader, meet us in week four of the Next Move. Already been through the Next Move? Please fill out this form here. During a 12-week Small Group semester, Real Jesus Groups gather weekly to discuss the Real Jesus curriculum, designed to introduce you to the real Jesus in a deeper, more personal way. This curriculum is not just for new believers, although new believers are certainly welcome, this is for anyone wanting to draw closer to the real Jesus. It requires heart work. In a Real Jesus group, you will have the opportunity to find freedom from your past by removing the obstacles that so often keep us from true intimacy with God. At the end of the Small Groups semester, there is a Real Jesus Weekend that every Real Jesus Group member is encouraged to attend. The weekend focuses on solidifying what you learned in Real Jesus by helping you take next steps to overcome your past and lay a foundation for walking in daily surrender and freedom. We love to celebrate life change. Please take a moment to tell us what God has done in your life through this experience. 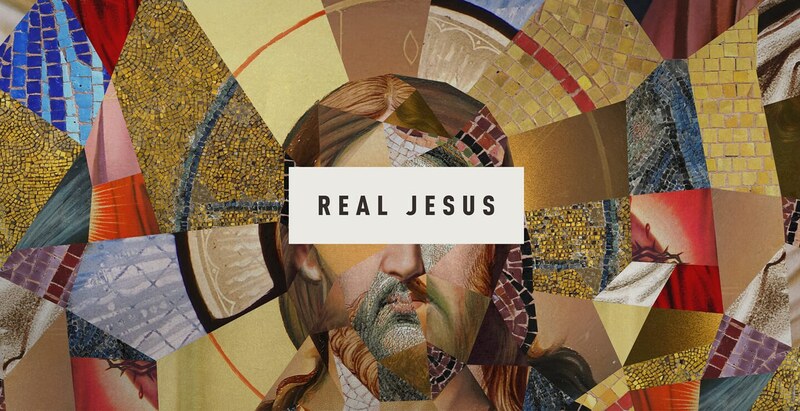 The Real Jesus Weekend is designed for those who are currently attending a Real Jesus Small Group with a Church on the Move campus or anyone who has participated in a Real Jesus Group in the past. Childcare is not provided. We hope to provide a distraction-free environment, and we will not be prepared to provide care for infants or children. Just come as you are, but you are welcome to bring a bible, notebook and pen. You may also wish to bring a sweater or light jacket if you get cold easily. Attire is casual! Dress like you would at a friend’s house, or weekend service. We want you to be comfortable. Many of our Real Jesus Weekend’s reach capacity, so you will want to pre-register to ensure you have a seat.